What Are Effects of Heroin? What Happens When You Use Heroin? Heroin can be injected, smoked, or snorted to produce a euphoric high. Its powerful effects give it a high potential for addiction and overdose. Who Answers? to get recommendations for heroin recovery centers in your area. Intravenous injection: onset within 1-2 minutes, peak within 10 minutes. Intramuscular injection: onset within 15-30 minutes, peak within 30 minutes. Snorting: effects peak within 30 minutes. Subcutaneous injection: effects peak within 90 minutes. After the peak, the sedating effects of heroin can last up to an hour, with analgesic (pain relief) effects lasting between 3 and 5 hours.2 The effect that heroin has on a user can vary based on the user’s tolerance level, dose taken, and how it is used. Users of heroin may quickly need more and more of the drug to achieve the same high. This effect is known as tolerance, and it paves the way for dependence or addiction. Once addicted, users are at risk for health problems or death by overdose. Heroin slows activity in the central nervous system and causes a reduced sensation of pain and a “rush” of good feelings, which is the high that users seek with repeated and prolonged use. Alternating states of drowsiness and alertness. Are You Ready to Quit Heroin? Who Answers? anytime to talk to a treatment placement specialist about what type of program is right for you. If heroin overdose is suspected, call 911 immediately. The overdosing individual needs professional medical help right away to prevent permanent damage and death. Breathing of stomach contents into the lungs while unconscious, causing choking, pneumonia, or death. Prolonged vomiting and diarrhea (frequently occurs in heroin withdrawal), causing dehydration or electrolyte imbalances. Reduced breathing, which can result in cerebral hypoxia and long-lasting brain damage. Long-term use of heroin often leads to a pattern of life-altering addiction. 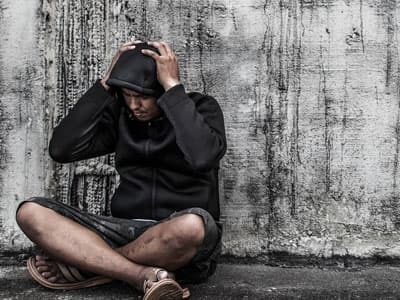 When a person suffers from a heroin addiction, they may struggle with relationship problems, occupational issues, major health problems, and self-motivation – often opting to use heroin instead of engaging in other things they once found enjoyable. Tolerance (a diminished response to heroin that ultimately requires a higher dose to achieve the same effect). Dependence or addiction (represents the body’s physical need for heroin). Chronic, severe constipation; potential for intestinal obstruction or perforation. Pulmonary problems such as pneumonia. Abscesses at the injection site. Infections of the heart lining and valves. Has heroin use affected you or a loved one? Begin your recovery today by calling 1-888-319-2606 Who Answers? .
. National Institute on Drug Abuse. (2014). What is heroin and how is it used?
. Medscape. (2016). Heroin Toxicity.
. National Institute on Drug Abuse. (2014). DrugFacts: Heroin.
. National Institute on Drug Abuse. (2014). What are the immediate (short-term) effects of heroin use?
. U.S. National Library of Medicine. (2016). Opiate and opioid withdrawal. Medline Plus.
. Drug Enforcement Administration. Fentanyl.
. National Institute on Drug Abuse. (2014). What are the long-term effects of heroin use?
. National Institute on Drug Abuse. (2014). What are the medical complications of chronic heroin use?
. National Institute on Drug Abuse. (2014). Why does heroin use create special risk for contracting HIV/AIDS and hepatitis B and C?